The two modern learning models that have defined the industry and the present times are eLearning and mLearning. With the developement of information technology and communications. The trend started with the former and gradually moved towards the latter. The main differences between these two main learning platforms is shared with the viewers. eLearning is any form of learning that is delivered using electronic devices like the computer via channels like the Internet. However, learning can also be delivered via the intranet or extranet networks. As mLearning is associated with mobile. Thus, mLearning is any form of knowledge that is given using hand-held and portable devices. eLearning gets the nod when you have to teach specific skills or impart in-depth knowledge on a subject to your audience. In order to teach someone how to operate a machine or make him learn by heart the HR policies of an organization, choose eLearning. mLearning to support an ongoing learning process where the learner needs quick access to bits of information, usually on the go. When you want your learners to have handy a list of to-do’s while they are in the store, create an mLearning nugget that they can carry around in their pockets or call up as and when they need it. eLearning makes you of think computers and laptops. That is eLearning tethers the learner to his or her desk. You may or may not need the Internet to deliver eLearning. So you needn’t be bothered by bandwidth concerns and can have a blast stashing audios, videos, and hi-res images into the course. 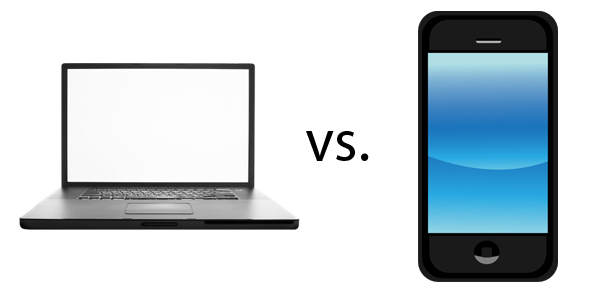 mLearning, think smartphones or the iPad. However, the challenge for the designers is to create learning files that download in a jiffy and run without hiccups. One of the basic requirements is that it has to be fast. As a designer, you can let loose your creativity when you design an eLearning course. If you can create an enticing layout peppered with the right amount of drama and tension, be assured that your learner will sit through the end of the course. mLearning units have to fit content within a small space, and there is usually no more than one idea in one screen. mLearning units have simple screens with simple navigation. Designing for mLearning units is challenging and experts says that the golden rule is to create successful mLearning designs, understanding context is crucial. Adult corporate learners don’t have all the time in the world. So if you are creating an eLearning course, keep it to between 20 minutes and 30-45 minutes max. The smartphone users amongst them have even less time. On the other hand, chunk your mLearning courses into bite-sized pieces of 3-10 minutes duration. You can use videos, but they should not be more than 3 minutes long. After all, you wouldn’t want to clog bandwidth.